The launch in October of the first weekly service from Aer Lingus between Dublin and Miami highlights a new-found spirit of carriers to fulfil the potential of presently unserved routes. We can expect more to follow, writes Ross Davies. In October 2017, Aer Lingus began a thrice-weekly service between Dublin and Miami. Credit: Flickr / DC_spotter. The world may indeed be getting smaller, but flights between its innumerable cities and hubs aren’t always direct. Take London’s Heathrow Airport for example. As the UK’s busiest hub, it is used by 80 airlines, jetting to 180 destinations (not all non-stop) across 90 countries. This is clearly no negligible number, but there is always room for new routes to enter the mix. One of the more noteworthy names added to Heathrow’s departures board is Tehran, which British Airways (BA) re-added to its itinerary last year, following the lifting of nuclear sanctions imposed on Iran at the start of 2016. Other destinations, however, have fallen by the wayside. It’s hard to imagine today, but both Caracas and Kathmandu were once serviced by non-stop flights from the west London hub. Naturally, some routes just aren’t viable for carriers and airports from a demand perspective. Unless there is a drastic U-turn in international relations, the likes of BA and KLM aren’t going to be taking off for Pyongyang anytime soon. Such a move would be economic suicide. But airlines are starting to look into new and diverse routes that make sense for their profit margins. In October 2017, Aer Lingus began a thrice-weekly service between Dublin and Miami, which has been welcomed by Irish tourist bodies looking to capitalise on an uptick in visitors from North America to the Emerald Isle in recent years. The potential of such routes also became a hot topic at the 2017 Global Sustainable Aviation Summit in October, hosted by industry body ATAG in Geneva, where the ‘race for new routes’ was discussed at length as one of the great opportunities in aviation. While a bold move on Aer Lingus’ part, the Irish carrier can’t take all the credit for the new route. Dublin to Miami was first identified as a potential profit-spinner in February 2016, as part of a destination-pairing initiative between airfare comparison website Skyscanner and route analysis group Anna.aero. Launched as a weekly feature back in 2015, the “Unserved Route of the Week” draws from Skyscanner’s data and analytics tool, Travel Insight, to identify demand for routes – currently unserved by the industry – from the site’s 60 million-plus visits each month. As of the end of October, 15 routes have been picked up out of the 67 pairings suggested by the feature – a success rate of roughly 22%. 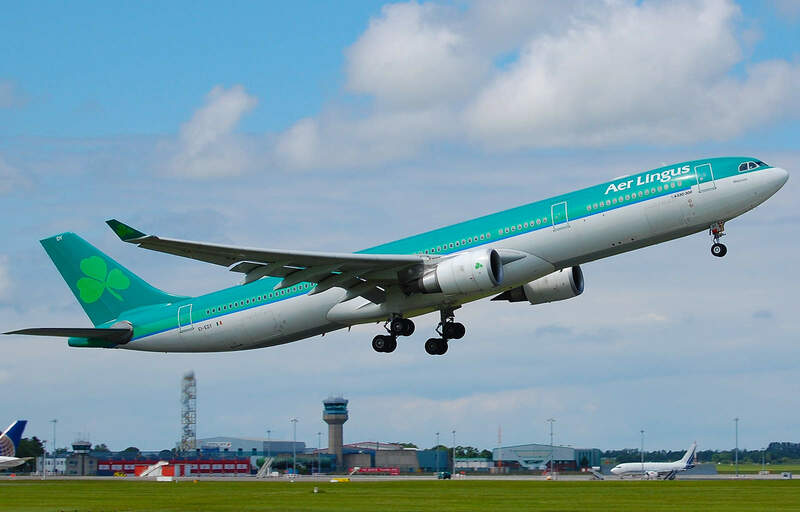 In addition to Aer Lingus’ Dublin-Miami service, successes include: Glasgow to Brussels with Ryanair; Seoul Incheon to Barcelona with Korean Air; Vancouver to Boston with AirCanada; and Nadi to Adelaide, now served by Fiji Airways. Adoptees of the routes cover the gamut of airlines, from flag carriers to ultra-low cost carriers (ULCCs). While Ryanair is the only carrier to have picked up more than one new route, legacy carriers account for ten of the 15 city pairs. “Our Travel Insight data is helping to shape airlines’ strategy by shedding light on gaps in the market and giving carriers invaluable insight into what consumers really want,” explains Hugh Aitken, Skyscanner’s senior director of strategic partnerships. “This access to crucial information on market demand reveals substantial and viable commercial opportunities for airlines, the importance of which is illustrated in the significant uptake of featured unserved routes over the last couple of years. Traditionally, no-frills carriers have led the way in forging new routes. In many ways, this still appears to be the case, as exemplified by the recent launch of Norwegian’s Gatwick-Singapore service. Billed as the world’s longest low-cost flight, fares currently stand at £150 one-way for the 13-hour journey. But, as indicated by Skyscanner’s findings, big flag carriers are now starting to up their game when it comes to conceiving of more imaginative routes. “Low cost airlines have always been the most dynamic at starting new and unserved routes, but we now see the same entrepreneurial approach from other more traditional airlines,” says John Strickland, one of the UK’s leading aviation consultants. Alexandre de Juniac, CEO of the International Air Transport Association (IATA), agrees that the market for unserved routes has become more diverse. Ultimately, he believes, airlines – whether they are legacy carriers or budget players – are subjected to the same main factors: distance, availability of aircraft and demand in the market. “I really think growth in this space can come from both,” he says. “There are two factors at play. One is how fuel-efficient and economical the aircraft is. The likes of the Airbus A350, irrespective of who it belongs to, is able to serve medium-sized routes between medium-sized destinations. “Then you have to consider the commercial planning of the airlines. Both budget and legacy airlines are able to serve these types of destinations. The Skyscanner project also highlights the role big data has to play in helping airlines in deciding on their route designs. However, despite its potential, the use of big data in the aviation industry for such purposes is still a work in progress. 2018 will see the realisation of more “Unserved Route of the Week” nominations, which include a new Denver-Paris Charles de Gaulle service, starting in April courtesy of Norwegian, and Budapest-New York JFK in May, operated by LOT Polish Airlines. Aviation has always prided itself on a sense of adventure that defined its earliest beginnings. Airlines able to draw up new routes will not only tap into this same vein of exploration, but they will also create a more competitive industry.